3. Ok lang yung crying winning pose pero they could come up with something better. langya.. kung sa pilipinas lang pala nai-consider nila baka itong character na ito pwede na..
sabi ng NAMCO pag pinilit pa rin daw ng NCCA na palitan ang name eh idedelete nalang daw nila yung character..
tama lang.. pangit naman talaga..
JDCR(perhaps the best tekken player in the world) Tekken 7 matches. JDCR beating Help Me with his Hei 5-0. JDCR vs Knee(T7 world championship qualifier). JDCR vs Malgu (T7 world championship qualifier). pag may kamehame wave yan di ko na isusupport ang removal nya sa game. 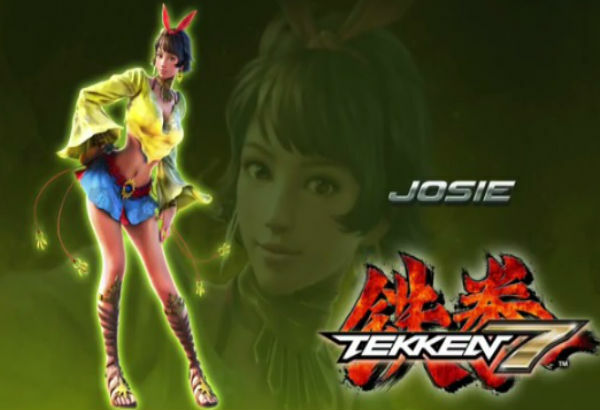 Josie Rizal is a solid character sa Tekken 7. Recently a Korean used her and won the Tekken 7 world championship qualifier. Akuma is included in Tekken 7 FR. nyak bakit sya napasama dyan, Tekken vs. Street Fighter na ba susunod? To attract street fighter players to play Tekken. I am not sure, pero may version yata ng street fighter na may tekken players din. Part din ng story line sa Tekken 7 FR si Akuma. May kasunduan yata ang Capcom at Namco na maghiraman ng characters. Meron talagang tekken vs street fighter na game dati pa. 2 years ago yata? Street fighter gameplay. Eto para sa mga mahilig manuod ng Tekken tournaments ng mga top players around the world. Congrats AK on your second place finish at the recent Evo Japan 2019. Let’s break it down. The Tekken World Tour is the official destination for Tekken 7 competition, hosted by developer Bandai Namco Entertainment and the competitive gaming wing of live-streaming platform Twitch. In 2017, it evolved into its current state from its predecessor, the King of The Iron Fist Tournament series; its changes were similar to the ones made to Capcom’s Street Fighter V circuit, the Capcom Pro Tour, in 2014. By visiting a list of partnered, grassroots events throughout the year and performing well, Tekken players earn points towards qualifying for the finals, which in 2019 will take place in Bangkok, Thailand. Bad Behavior has blocked 42055 access attempts in the last 7 days.